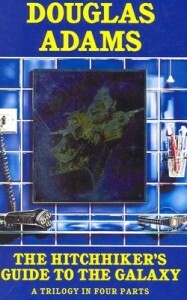 The Hitchhiker’s Guide to the Galaxy is a science fiction comedy series created by Douglas Adams. The title is derived from the fictional guidebook of the same name, which is an eccentric electronic encyclopedia featured in the book. Adams claimed that the title came from a 1971 incident when he was hitch-hiking across Europe in the prime of his youth. While lying drunk in a field in Innsbruck with a copy of The Hitch Hiker’s Guide to Europe and gazing up at the stars, he was struck by an idea. Someone should write a hitchhiker’s guide to the galaxy as well. The roots of this series can be traced back to a radio comedy broadcast on BBC Radio 4 in 1978. It’s popularity led to it’s adaptation to other formats and eventually becoming a multi-media phenomenon. 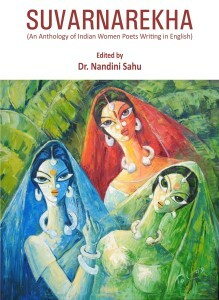 By 2005 it was translated into more than 30 languages and has also inspired a Hollywood funded film. 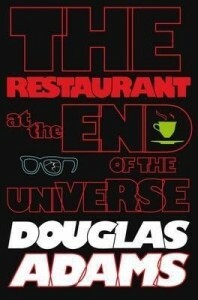 It follows the adventures of a hapless Englishman called Arthur Dent who befriends an alien called Ford Prefect. They manage to escape when the alien race called The Vogons demolish Earth. The President of the Galaxy Zaphod Beeblebrox saves them unknowingly and they hitch a ride on his stolen spaceship, the Heart of Gold. Zaphod’s companion Tricia McMillan is the only other survivor of Earth’s destruction other than Dent. A depressed robot called Marvin, the paranoid android is the other crew member. The strange characters embark on their strange journey to find the legendary lost planet of Magrathea as well as the Question to the Ultimate Answer, chased by inter galactic cops and battling unfriendly aliens on the way. A unique blend of science fiction and comedy this! 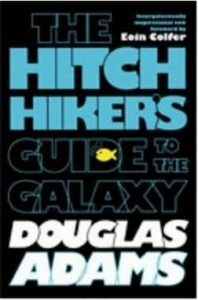 The Hitchhiker’s Guide to the Galaxy is a popular book in online bookstores. 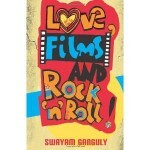 Editor’s Note: Swayam Ganguly’s maiden book Love, Films and Rock ‘n’ Roll was recently launched in Kolkata’s prestigious Oxford Bookstore. 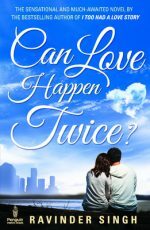 His second novel ‘Good Bad and Ugly’ from Supernova Publishers is due for release soon. Read reviews of ‘Love, Films and Rock ‘n’ Roll!’.